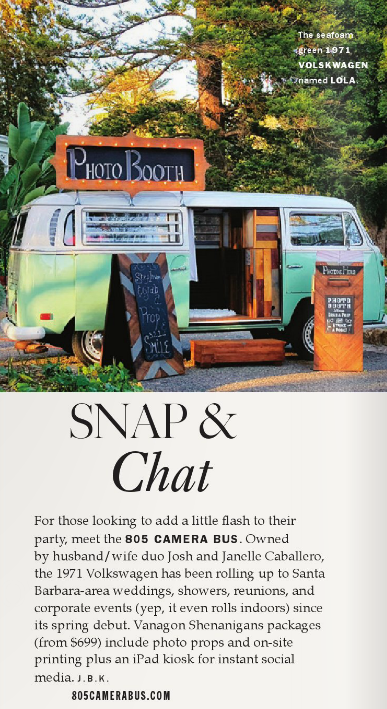 We were excited to be featured in the Fall 2016 Edition of the Santa Barbara magazine! View the digital article at sbmag.com on page 8. 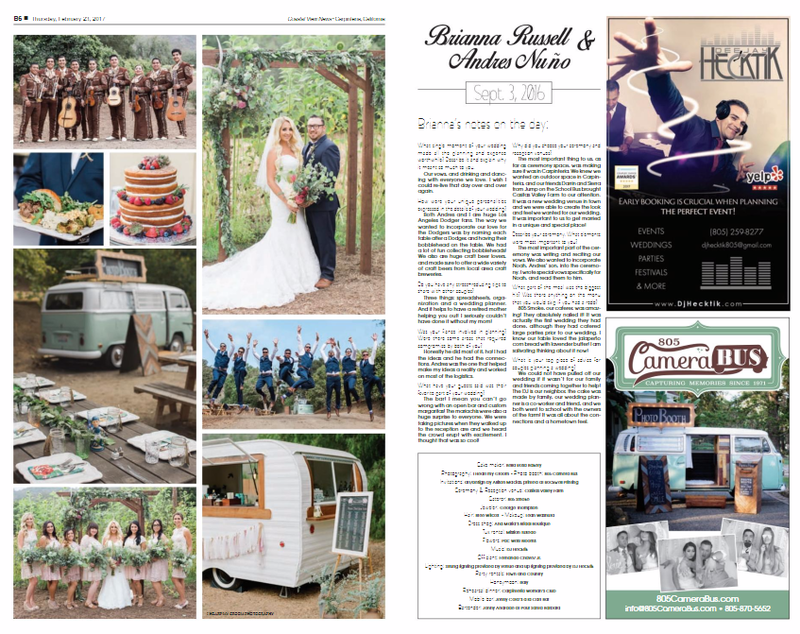 Two of the weddings we attended in 2016 were featured in the 2017 edition of the annual Coastal View News Wedding Guide. 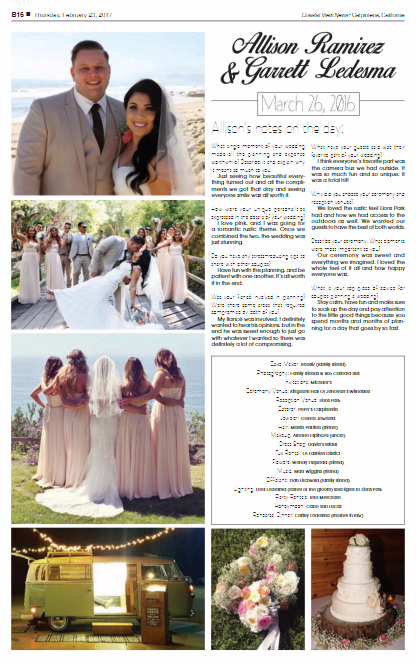 To view the full wedding guide, visit Coastal View News and check out pages 6-7 and page 16. In the 2017 edition of Cvent Meetings magazine, Lola was honored to be included in the "Inspiration Gallery" section. The article can be found on page 72. On June 7th, we were featured in the "Life" section of the Santa Barbara Newspress. We were honored at the chance to showcase Lola to our local community! You can read the entire article below. 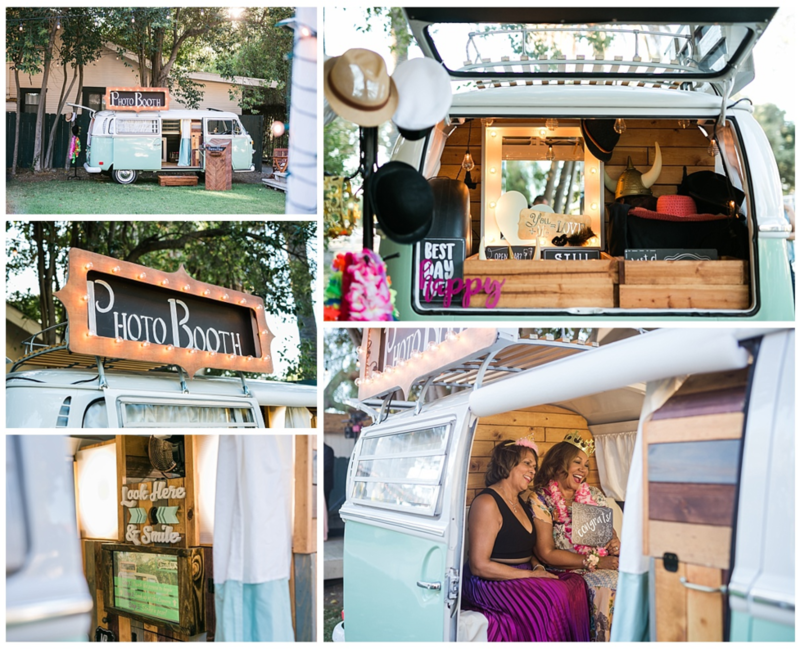 As much as we love weddings, some are just extra special, and this wedding we attended in July was no exception. 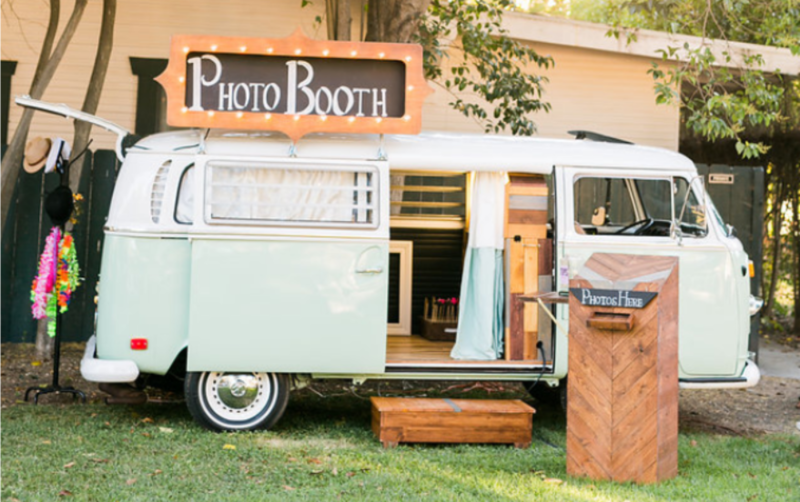 If you're looking for some wedding inspiration, be sure to check out this fun, detailed article by Staci Stack Photography. Lola and some friends she made that day are featured there too!